As with any trade, bricklaying looks like an easy job to do until you try it yourself. Knowing the basic principles of masonry will help you get a headstart so pay attention to how masons lay the bricks when building a mailbox enclosure or a brick wall structure. Both processes are the same. It’s equally important to do proper planning and preparation. Map out the wall and practice with a small sample wall first. When you’re finally confident with your practice, built on your know-how, and finished with the planning, the next thing to focus on is to get the right bricklaying tools to make the job easier. When you are laying bricks, it is important that you have the proper tools for the job. If you want everything to turn out as well as it possibly can, then you’re going to need quality tools that will make things easier. A brick trowel should be among the very first purchases that you make. It is perhaps the most essential tool for the entire process of bricklaying, so you’re not going to want to be without one. If you know much about bricklaying, then you should understand that you need to set the bricks and spread out your mortar. The tool that you will be using for this task is known as a brick trowel. It is what you will be used to smooth things out, as well, so it is going to prove to be invaluable to the entire process. You need to be able to lay things out properly in order to get the accurate brickwork that you are desiring. Owning this brick trowel will making laying bricks as simple as it can possibly be. You will be able to rely on the tempered blade to help you position your bricks and smooth your materials. You’ll be able to pick up ample amounts of mortar using this tool and will always be able to put it right where it needs to go. It’s a simple idea, and using this brick trowel should feel quite natural once you get used to things. The blade of the brick trowel being shown here is made out of steel, as you might expect. It will be rugged and will stand up to many years of use if you take care of the brick trowel properly. This means cleaning it off and storing it right when you aren’t using it. Your brick trowel is going to be a regular companion on your bricklaying jobs, so you want to keep it in good condition so that it will be ready to help you do the jobs. The handle of the blade is made out of wood. Some trowels will have plastic handles or even metal handles. The wooden handle helps you to maintain maximum comfort throughout your workday. It should work perfectly to give you the right grip while you’re trying to finish up your bricklaying project. A pointing trowel will be another tool that you simply must purchase when doing a bricklaying project. You will need the pointing trowel in order to perform specific tasks that it is better suited to than a brick trowel. When you need to add a finish to your brickwork, then it is going to be essential to have a pointing trowel around. The design of the tool makes it well-suited to getting close to the bricks and finishing things off properly. Of course, you can use the pointing trowel in order to level things out and spread mortar where you need it to go. It is more commonly used for precise shaping work, though. You will usually want to make use of the larger brick trowel in order to do the majority of the work. Then you will switch to the pointing trowel to finish things off and accurately shape the bricks so that you can finish your project right. This pointing trowel has a high-quality carbon steel blade. This blade is excellent, and it will stand up to regular use while remaining in great condition. The handle of this pointing trowel is made out of wood. It’s comfortable in your hands and is durable enough that you won’t have to worry about encountering any issues. The wood handle feels right and helps to keep you feeling fine while you’re finishing up the job. Even if you have to use this tool for longer stretches of time, it will feel as natural as possible. You shouldn’t have a difficult time making use of this handy pointing trowel. It will allow you to finish up your projects, and everything will look fantastic when you’re done. Your brick hammer is going to be one of the very first tools that you should purchase for this job. It is an essential part of the process that you absolutely cannot be without. When you need to complete a bricklaying project, you’re going to need to have a hammer to help you with multiple purposes. The brick hammer here is going to help you to line up bricks properly, cut bricks, set bricks, and even strike brickwork into place in certain situations. This brick hammer is made incredibly well, so you will be able to rely on it for many years. It is made out of a durable steel and weighs in at only twenty-two ounces. You’ll be able to swing this hammer and use it all day long without feeling like it is fatiguing you too much. It is relatively lightweight and feels very good in your hands overall. The handle is worth mentioning because it is very well-designed. It has a really good grip that ensures that you will have full control over the tool the entire time. Aside from this, it was made to be able to reduce the vibrations that are produced when it makes an impact with an object. This means that it will be a lot easier on your hands, and you’ll feel less tired than usual when you use a quality hammer like this. Purchasing a hammer that is of the highest quality makes sense if you are going to be doing a lot of bricklaying work. You want something that is going to be durable while being easy to use during a long workday. This brick hammer fits the bill and will definitely satisfy your needs. If you need a quality hammer for bricklaying and masonry work, then you should definitely consider purchasing this. Sometimes the simplest types of tools wind up being among the most important. You will be using bricklayers line pins in order to ensure even courses along with an entire wall. It is really just a simple way to keep things going smoothly. You can’t afford to be off when you’re doing a bricklaying job, so you have to ensure that your course is always correct. You just insert these pins right where they need to be. They have tapered ends that makes placing them as simple as possible. You’ll be able to position them correctly and then make use of this visual aid in order to stay on task. It is a simple and effective way to make bricklaying work easier. 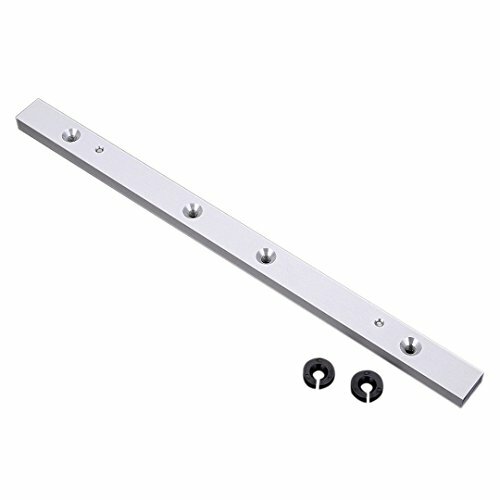 These line pins can help to hold your line and will allow you to avoid making costly mistakes. You want to be able to do your bricklaying work as well as possible, so it makes sense to buy these. They aren’t too costly, so you will be able to get them rather easily. It’s a good purchase that will be immediately useful to you when you have a bricklaying project to complete. One of the most important parts of bricklaying is ensuring that the work that you are doing is completely level. You need to make sure that all of the bricks have been positioned correctly. The structural integrity and overall usefulness of your work depend on doing things accurately. You need to be able to determine whether or not things are level in order to finish your project. For this reason, it is imperative that you have access to a spirit level. Spirit levels are very accurate and will be able to give you all of the information that you need. If your project is just a little bit off from being truly level, then you will be able to know what adjustments need to be made in order to remedy the situation. It will be simple to use overall, but the accuracy of the information will prove to be invaluable. The spirit level that is being shown here has a lightweight aluminum body. You will be able to use it to measure things in several different positions, as well. It is 32-inches long and should become a constant companion on your bricklaying jobs. You’ll always be able to make sure that your work is level when you have this tool available to use. You will be making use of a bolster chisel to cut bricks when you need to. You’ll be getting familiar with this chisel quickly if you are going to be working with bricks frequently. This type of chisel is very common among those who work with bricks. It is going to be the simplest way to cut into your brick in order to finish up certain tasks. The tool itself is very simple, overall. 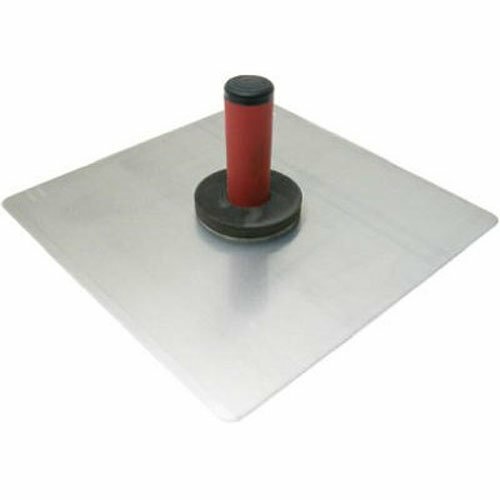 It is designed to provide the perfect amount of impact necessary for masonry projects. The cutting edge of this chisel is going to be very precise, so you won’t have a hard time making use of it. 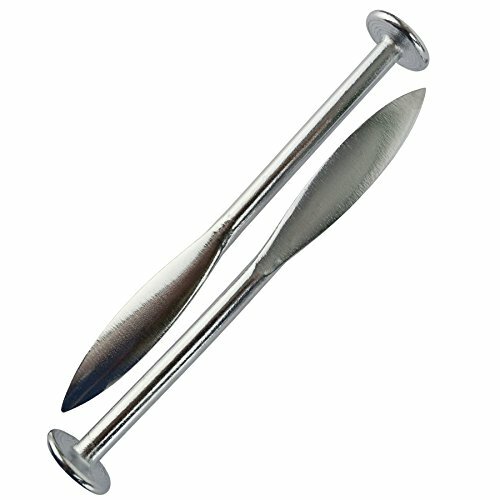 When you need to do very accurate work, you’re going to want to have a bolster chisel readily available to you. The handle of this bolster chisel is made out of plastic, but it is actually quite durable. It features several finger grooves that are designed for your comfort while you are holding it. It is also made to be slip-resistant, so you shouldn’t have issues with losing your grip while you’re trying to work. This chisel will work very nicely for you and will make cutting into bricks a simple task. You will be using a cold chisel in order to chip into the brickwork. Of course, these chisels are going to be used more often after the bricks have already been laid. Even still, it is good to have a set of these chisels around. They will allow you to cut into the brickwork when you need to do so. This set of chisels here comes with three different chisels. Each of the chisels is a different size and will prove to be useful for different purposes. These tools are very durable, and you should be able to make use of them for a long time. They’re made out of steel and will be just what you need to chip away at many types of surfaces. 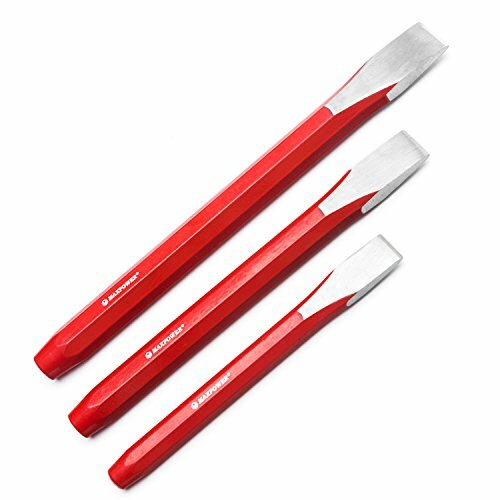 Aside from being used for bricks, you can also use these chisels on concrete, metal, and stone. It will be very handy in certain situations. Although it isn’t an absolutely essential tool, you might find that you’ll need one to cut into your bricks to make room for certain services. These chisels come in a convenient canvas bag too, so you’ll be able to keep them safe and tuck them away nicely when they aren’t in use. Having a hawk is going to be absolutely necessary for holding your joint compound or other materials in place. This is going to be a tool that you will use at various points during a bricklaying job. It is worthwhile to make sure that you buy a good one. You want to own a hawk that is easy to use and will stand up to regular use. This hawk is perfect to use for all of your bricklaying needs. It is actually pretty lightweight, and this makes it simpler to make use of it for long periods of time. This tool is also very durable, so it can be used for many jobs without giving you any problems at all. It is made out of aluminum that won’t rust, so you won’t have to worry about it getting messed up after a few jobs. The wood handle on this hawk feels very good in your hands. There is also a rubber grip, which allows you to maintain your hold on the tool with ease. This is a good purchase, and you will definitely want to own a tool like this for your bricklaying job. It will prove itself useful, and you’ll never want to be without it. The gauge rod is a pretty simple tool that you will be making use of for specific purposes. When you need to make sure that your course is correct when you’re working from two opposite ends of a wall, you turn to this tool. A gauge rod simply makes sure that you are doing things properly. It is actually possible to build your own gauge rod if you want to, but it can be simpler to just buy one. This is an inexpensive tool that will be easy to make use of. You’re simply using it in order to keep things moving along properly. It will have different measurements on the rod that you can use to gauge things out. If you were to make your own, then you would be creating these markings yourself on a piece of wood. It’s really just a visual aid that keeps you from making mistakes. The gauge rod being shown here is a convenient thing to purchase. You will be able to make use of this on your jobs to ensure that things are on course, and it won’t cost you too much money to buy it. You’ll want to have some type of tool like this to keep things on track during your bricklaying job. It’s a small but essential part of the process. It may seem obvious, but you need to be able to measure things out properly while you’re laying your bricks. In almost any type of job where precision matters, you’re going to need to take measurements at various points in your workday. In order to do this as conveniently as possible, it makes sense to have a quality tape measure at the ready. This tape measure will work great for general purposes, and you will always be able to rely on it. It is capable of providing you with measurements of up to 25 feet, which should be more than sufficient for your needs. When you need to be able to quickly make some measurements to stay on task, you’ll be able to quickly reach for your tape measure. This handy tool is simple to keep with you all day long. You can either attach it to your belt loop, or you can keep it in your tool belt when you aren’t currently using it. You should note that if you use the tape measure on a wet surface, you will need to wipe it off. When you’re doing bricklaying work, there may be times when you need to measure something that already has some mortar applied to it. After you make your measurements, be sure to wipe things off with a towel. You don’t want your tape measure to get nasty or to rust, so it’s important to remember to clean things off. It’s always smart to wear safety goggles of some sort when you’re on the job. You need to protect your eyes at all costs. If you have a mishap while you’re working, and something gets in your eyes, it could wind up being disastrous. You might not think of bricklaying work as being extremely hazardous, but you definitely don’t want to get mortar in your eyes. A simple pair of safety goggles can prevent you from getting injured or just wasting time by having to wash out your eyes. These safety goggles are easy to wear and feel very natural even when you’re wearing them for long periods of time. If you want to prevent small problems from popping up during your workday, then you should definitely purchase a pair of these safety goggles. It will make your life easier in the long run. These particular safety goggles are pretty standard and no frills. They feature an adjustable strap that will fit on most people. You can also find safety goggles that you wear on your face like more standard pairs of sunglasses. Which style you prefer is largely going to come down to your personal preference, so just choose what feels the most natural to you. It’s no secret that bricks are very coarse, and if you are grabbing them all day, your hands are going to get pretty scratched up. It makes a lot more sense to have a reliable pair of work gloves that you can use while you’re doing the bricklaying work. Some people worry about wearing gloves slowing them down, but the right gloves won’t negatively impact the dexterity in your hands. If you buy a high-quality pair of work gloves, then you will be able to use them very easily. These work gloves here are a great option for you to consider. They will protect you from scrapes and cuts without limiting your overall utility. They’re also very affordable, making them an option that is appealing when you want to save a little money. A good set of gloves can help to keep you from getting small injuries. You won’t be getting cut or scraped, and you can continue to work without encountering any issues. If you are going to be doing a lot of bricklaying work, then it is beneficial to purchase some gloves. There are even some gloves on the market that are compatible with touchscreens. These gloves here are not, but you can look into several different options, depending on what you want. You’ll find a good fit for you, and it won’t be difficult to purchase them when the price is this low. It should also be noted that there are cut-resistant gloves on the market that you can consider. The gloves being shown here will do a good job of keeping your safe from small abrasions, but if you are even more concerned about cuts, you can get gloves that are even more durable. Whatever your needs are, you will be able to find a great pair of work gloves that can keep your hands safe from harm.